This is the term I think of every time I think about what to write in my Blog. Change is inevitable, change is difficult. Many people don’t like and can not adapt to change. However, when it comes to Business, change should be the one constant. the one thing to keep you motivated and the one thing to increase your bottom line. Without change, Businesses get stagnant, they get boring which in turn, can cause you to loose clients. Harking back to my days in my Salon. I think about the countless number of hours we spent on decorating for the Holiday’s. Not just the big ones…all of them. There were times where I felt I just couldn’t do it anymore. 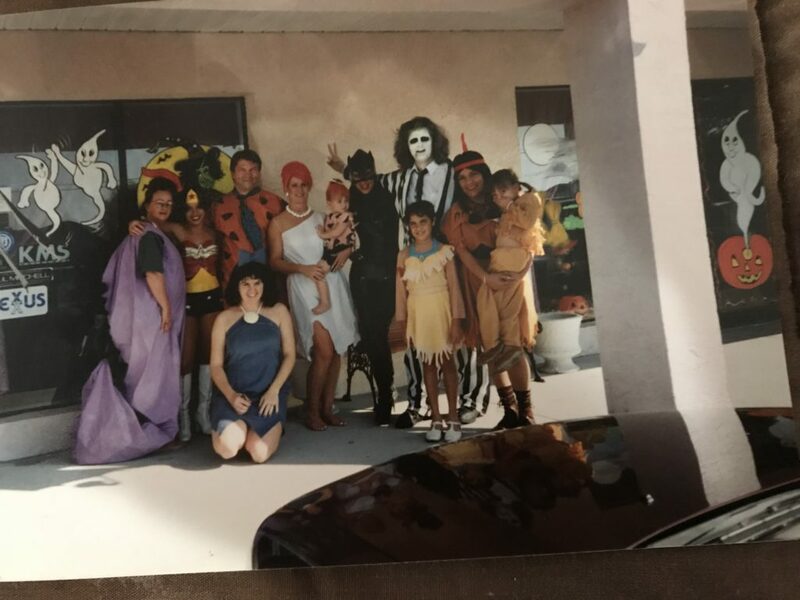 But, when our clients came in and saw our luxurious Salon turned into a haunted house, or how we honored our Veterans, our Mother’s, our Fathers and how we celebrated at every chance we could get…..they appreciated it and it 100% brought in increased revenue. The change woke them up. I also remember the days when even I would get bored with my services. It seemed to be the same thing over and over again. A full set, a Fill, a Pedicure. Maybe a Polish Change here and there, and even possibly a Manicure. the same mundane work schedule everyday. Yes, we offered Paraffin dips, Hot Stones and such, but the process was all the same. What made me different? What kept my clients from getting bored? I constantly changed the delivery process. Whether it was to honor a Holiday or offer a special cocktail or lunch deal. The change did us all good and yes…..it woke my clients up and increased our revenue. There are so many more options these days then there were when I had my Salon. We have more improved solutions for calluses and foot care. We have anti-aging solutions as basic services and/or add ons. We have choices for exfoliants, for masks. We have endless selections of nail color along with acrylic colors along with gel polish colors. We have glitter and 3D nail art. We have we have………..the selections and/or solutions go on and on. This phenomenon is not ending. The choices we have these days are mind boggling. Once you think you have found the newest and the greatest. The next newest and greatest thing comes along. Change….it’s inevitable. And, don’t think for one moment, these Mfg’s don’t know what they are doing. They change products constantly. They keep you excited. They increase revenue. As we head into the last two months of 2018, I hope by now, you have at least thought about your Marketing plan for 2019. Change is new and exciting. We should always go into a New Year with new and exciting changes. Monthly webinars. We are changing it up a bit. Product knowledge will always be available, but we plan to present more specialized topics. Trade shows. We will be present at the shows we have always done, but we plan to attend more shows to bring our brands closer to you. Brand Champions. Centre for Beauty is actively looking for Champions of our brands. Brand Champions who will specialize in one specific brand in an effort to bring you the best information and the best education to help you build your Foot Care Business. Free Freight Friday highlights. We will continue our Free Freight Friday offer, the 1st Friday of every month. Beginning January, we will highlight one product each month offering detailed information with amazing savings. Podiatry. Centre for Beauty is breaking into the Podiatry market. Our plan is to learn new and exciting processes, learn and share what Podiatrists expect from our Technicians and to solidify a concrete referral process to help our Salons build a referral alliance. These are just a few of the “changes” Centre for Beauty is planning to offer our clients in an effort to offer the best in Education needed by you (our Salons) to grow your Foot Care Business. What changes can you make in your Salon? Change your menu. Revise the wording, the descriptions. Change your processes. Love the products you use? Look for different ways to present them. Highlight your strengths. Do you go over and above in your cleaning and disinfection procedures? Make a big deal over it. Offer a new service. Get away from the same ole thing. Dare to be different. Monthly offers. Nail color of the month. Highlight a retail product. The ideas are endless. Clear your head of the old ways, the old days and get your mojo going. Be more creative then your competition and keep your clients excited about what might come next. We look forward to closing a very successful year and even more so, we look forward to helping you with and through your changes in the coming year. Make it happen and watch your bottom line grow.